Plantar fasciitis causes pain under your heel. It usually goes in time. Treatment may speed up recovery. Treatment includes rest, good footwear, heel pads, painkillers, and exercises. A steroid injection or other treatments may be used in more severe cases. Plantar fasciitis means inflammation of your plantar fascia. Your plantar fascia is a strong band of tissue (like a ligament) that stretches from your heel to your middle foot bones. It supports the arch of your foot and also acts as a shock-absorber in your foot. Repeated small injuries to the fascia (with or without inflammation) are thought to be the cause of plantar fasciitis. The injury is usually near to where the plantar fascia attaches to your heel bone. If you are on your feet for a lot of the time, or if you do lots of walking, running, standing, etc, when you are not used to it. (The condition is sometimes called 'policeman's heel', as policemen 'walking the beat' were said to be commonly affected.) Also, people with a sedentary lifestyle are more prone to plantar fasciitis. If you have recently started exercising on a different surface. For example, running on the road instead of a track. If you are overweight, this will put extra strain on your heel. If there is overuse or sudden stretching of your sole. For example: athletes who increase running intensity or distance; poor technique starting 'off the blocks', etc. Often there is no apparent cause for plantar fasciitis, particularly in older people. A common wrong belief is that the pain is due to a bony growth or 'spur' coming from the heel bone (calcaneum). Many people have a bony spur of the heel bone but not everyone with this gets plantar fasciitis. Plantar fasciitis is common. Around 1 in 10 people will get plantar fasciitis at some time in their life. It is most common in people between the ages of 40 to 60 years. However, it can occur at any age. It is twice as common in women than men. It is also common in athletes. Pain is the main symptom. This can be anywhere on the underside of your heel. However, commonly, one spot is found as the main source of pain. This is often about 4 cms forward from your heel, and may be tender to touch. The pain is often worst when you take your first steps on getting up in the morning, or after long periods of rest where no weight is placed on your foot. Gentle exercise may ease things a little as the day goes by, but a long walk or being on your feet for a long time often makes the pain worse. Resting your foot usually eases the pain. Sudden stretching of the sole of your foot may make the pain worse. For example, walking up stairs or on tip-toes. You may limp because of pain. Some people have plantar fasciitis in both feet at the same time. What is the initial treatment for plantar fasciitis? Usually, the pain will ease in time. 'Fascia' tissue, like 'ligament' tissue, heals quite slowly. It may take several months or more to go. However, the following treatments may help to speed recovery. A combination of different treatments may help. Collectively, these initial treatments are known as 'conservative' treatments for plantar fasciitis. Do not walk barefoot on hard surfaces. Choose shoes with cushioned heels support. Avoid old or worn shoes that may not give a good cushion to your heel. You can buy various pads and shoe inserts to cushion the heel. These work best if you put them in your shoes at all times. The aim is to raise your heel by about 1 cm. If your heel is tender, cut a small hole in the heel pad at the site of the tender spot. This means that the tender part of your heel will not touch anything inside your shoe. Place the inserts/pads in both shoes, even if you only have pain in one foot. Painkillers such as paracetamol will often ease the pain. Sometimes anti-inflammatory medicines such as ibuprofen are useful. These are painkillers but also reduce inflammation and may work better than ordinary painkillers. Some people find that rubbing a cream or gel that contains an anti-inflammatory medicine on to their heel is helpful. An ice pack (such as a bag of frozen peas wrapped in a tea towel) and held to your foot for 15-20 minutes may also help to relieve pain. 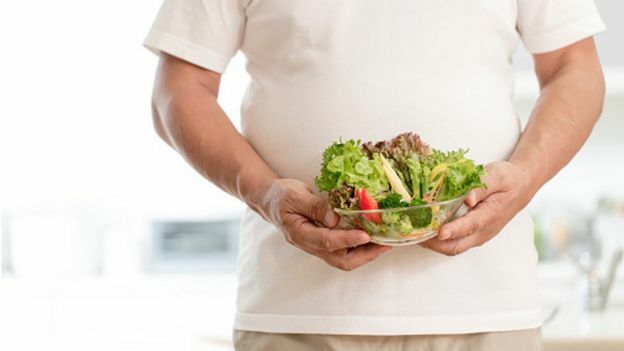 Weight reduction by diet - eating more of raw food - salads and fruits. Regular, gentle stretching of your Achilles tendon and plantar fascia may help to ease your symptoms. This is because most people with plantar fasciitis have a slight tightness of their Achilles tendon. If this is the case, it tends to pull at the back of your heel and has a knock-on effect of keeping your plantar fascia tight. Also, when you are asleep overnight, your plantar fascia tends to tighten up (which is why it is usually most painful first thing in the morning). The aim of these exercises is to loosen up the tendons and fascia gently above and below your heel. Your doctor may refer you to a physiotherapist for exercise guidance. Stand about 40 cm away from a wall and put both hands on the wall at shoulder height, feet slightly apart, with one foot in front of the other. Bend your front knee but keep your back knee straight and lean in towards the wall to stretch. You should feel your calf muscle tighten. Keep this position for several seconds, then relax. Do this about 10 times then switch to the other leg. Now repeat the same exercise for both legs but this time, bring your back foot forward slightly so that your back knee is also slightly bent. Lean against the wall as before, keep the position, relax and then repeat 10 times before switching to the other leg. Repeat this routine twice a day. Stand on the bottom step of some stairs with your legs slightly apart and with your heels just off the end of the step. Hold the stair rails for support. Lower your heels, keeping your knees straight. Again you should feel the stretch in your calves. Keep the position for 20-60 seconds, then relax. Repeat six times. Try to do this exercise twice a day. Sit on the floor with your legs out in front of you. Loop a towel around the ball of one of your feet. With your knee straight, pull your toes towards your nose. Hold the position for 30 seconds and repeat three times. Repeat the same exercise for the other foot. Try to do this once a day. For this exercise you need an object such as a rolling pin or a drinks can. Whilst sitting in a chair, put the object under the arch of your foot. Roll the arch of your foot over the object in different directions. Perform this exercise for a few minutes for each foot at least twice a day. If the above treatments are not helping to relieve your symptoms, or if you are someone such as an athlete who needs a quick recovery, other treatments are available. There is no one specific treatment that appears to stand out as the best. A target antiinflammatory, analgesic injection is sometimes tried if your pain remains bad despite the above 'conservative' measures. It may relieve the pain in some people for several weeks but does not always cure the problem. It is not always successful and may be sore to have done. Steroids work by reducing inflammation. Sometimes two or three injections are tried over a period of weeks if the first is not successful. Steroid injections do carry some risks including (rarely) rupture of the plantar fascia. In extracorporeal shock-wave therapy, a machine is used to deliver high-energy sound waves through your skin to the painful area on your foot. It is not known exactly how it works, but it is thought that it might stimulate healing of your plantar fascia. One or more sessions of treatment may be needed. This procedure appears to be safe but it is uncertain how well it works. This is mostly because of a lack of large, well-designed clinical trials. You should have a full discussion with your doctor about the potential benefits and risks. In studies, most people who have had extracorporeal shock-wave therapy have little in the way of problems. However, possible problems that can occur include pain during treatment, skin reddening, and swelling of your foot or bruising. Another theoretical problem could include the condition getting worse because of rupture of your plantar fascia or damage to the tissues in your foot. More research into extracorporeal shock-wave therapy for plantar fasciitis is needed. Various studies and trials have been carried out looking at other possible treatments for plantar fasciitis. Such treatments include injection with botulinum toxin and treatment of the plantar fascia with radiotherapy. These treatments may not be widely available and are mostly being used as part of research projects. Some people benefit from wearing a special splint overnight to keep their Achilles tendon and plantar fascia slightly stretched. The aim is to prevent the plantar fascia from tightening up overnight. In very difficult cases, sometimes a plaster cast or a removable walking brace is put on the lower leg. 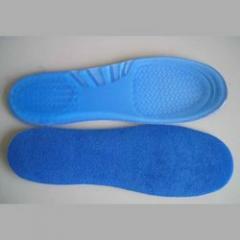 This provides rest, protection, cushioning and slight stretching of the plantar fascia and Achilles tendon. However, the evidence for the use of splint treatment of plantar fasciitis is limited. This may be considered in very difficult cases. Surgery is usually only advised if your pain has not eased after 12 months despite other treatments. The operation involves separating your plantar fascia from where it connects to the bone and is called a plantar fascia release. It may also involve removal of a spur on the calcaneum if one is present. Surgery is not always successful. It can cause complications in some people so it should be considered as a last resort. Complications may include infection, increased pain, injury to nearby nerves, or rupture of the plantar fascia. What is the prognosis (outlook) for plantar fasciitis? Most people have completely recovered from an episode of plantar fasciitis within a year. However, some of the treatments described above may help to speed up your recovery. Regularly changing trainers used for running or walking. Wearing shoes with good cushioning in the heels and good arch support. Regularly stretching the plantar fascia and Achilles tendon (see Exercises above), especially before exercise. Avoiding exercising on hard surfaces. Singh D, Silverberg MA, Milne L; Plantar Fasciitis. eMedicine, Oct 2008.